Here is one unique tour in Bermuda that is designed to offer you best of two worlds - seeing Bermuda from land and also from the waters. Shark Eye Tour offers an amphibious vehicle that can move on both road and the sea. It is a bus that also doubles as a boat. While there are lot many land based Sightseeing Places in Bermuda, there are some sights that can be experienced only from the waters, like the corals, colorful marine life, shipwrecks, tiny islands and the view of the wonderful coast line of Bermuda. For many tourists, time constraints and budgets come on the way to avail Tours & Excursions both on land and water. This tour on a bus & boat vehicle tries to bridge that gap to some extent. While there is no end to Bermuda's magnificent attractions and offerings, you will get a good feel of the western end of Bermuda about both sea and land based attractions. The vehicle can accommodate 40 passengers. It leaves from the dockyard for a 45 minutes fully narrated musical tour. It can also be chartered. While on road, it moves at a speed of about 30 miles an hour (max speed is 60 mph). On water the speed is about 10 miles an hour. During the tour, the captain of the vehicle narrates the history of Bermuda and the dockyard, and also tells you about the sights that you pass by. The tour departs from the Royal Naval Dockyard (from the ramp across Maritime Buoy-Age Workshop and the Clay Works building). It gets into the inlet of Kings Wharf and slowly proceeds to the Great Sound water area. From here, it will show you various land and water based attractions in Sandys Parish which is located at the western end of Bermuda. It will get on to the land at Boaz Island (one of the islands of Sandys), show you around and get back to the sea, and take you to the beautiful Mangrove Bay located at tranquil Somerset Village. Many water sport events including yachting races take place at the Mangrove bay. (formerly the Maritime Museum) located at the dockyard. 4) Lagoon Park close to the cemetery. It is so named because of a central lagoon. 6) HMS Malabar, a small base at the dockyard that was retained for supplies even after the Royal Navy left the dockyard. This too closed in 1995. If you charter the vehicle, it can offer you several other options including dinner & lunch cruises, wedding & birthday party cruise, etc. It can provide the pickup and return services at any port in the dockyard. Note that there is no toilet in the vehicle. Although there are life jackets available, it is not necessary to wear one. The vehicle has roll down windows to protect you from rains. The vehicle is constructed with composite fiberglass that makes it highly sea-worthy. It is approved by the U.S.C.G. (United States Coast Guard) and can withstand seas up to six-feet high which is twice the general standard for such vehicles. The watertight crash bulkhead in the bow along with the pontoon system makes it safe and virtually unsinkable. For scheduled tours, you will get the tickets at the Dockyard Visitors Information Center or at the store located at 5 Quarry Lane, Khyber Pass, Warwick Parish. You can also get the tickets at the vessel itself before boarding at the dockyard. Due to limited capacity, it is better to book in advance, particularly during the high tourist season. Check out the contact information below for advance booking. The vessel leaves from Kings Wharf Dockyard at Sandys. The tour begins at the ANTO (Aids to Navigate) Ramp, across the Maritime Buoy-age System. 1) Bermuda Boating: Know about the top boat tours in Bermuda. 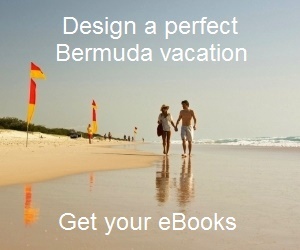 3) Bermuda Tours: Many other great tours & excursions in Bermuda. Please tell me how much is the Bermuda "duck" tour (land and boat). Is there more than one that supplies this tour? How old must the child be to get the child price? Thank you. Hi, Adult fare= $54, Children (4-12)=$36, Children 3 or less = free. There are special rates for groups, persons with special needs and locals. There is only one tour on amphibian vehicle (land & water), it's known as Shark Eye Tour.